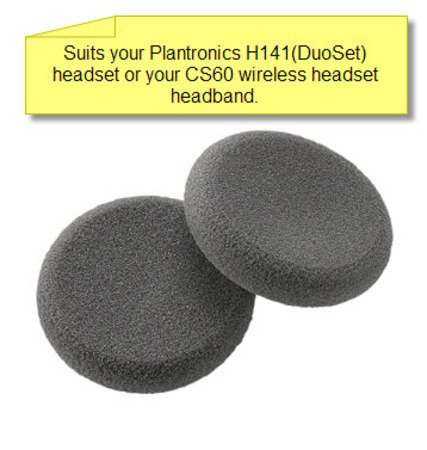 Plantronics foam black ear cushions provide ultra soft all day comfort when wearing a Plantronics H141 corded headset or CS60 wireless headset. Part 43937-01 is sold as a pair of ear cushions and simply slides onto the speaker of the headset. Provides you with a stable and comfortable fit.